The common ground underlying the diverse expressions of the Buddha’s teachings. The origins of the various Buddhist traditions, and how they spread across Asia. How the Four Noble Truths are understood in the different traditions. Ethical training for laypeople and monastics. 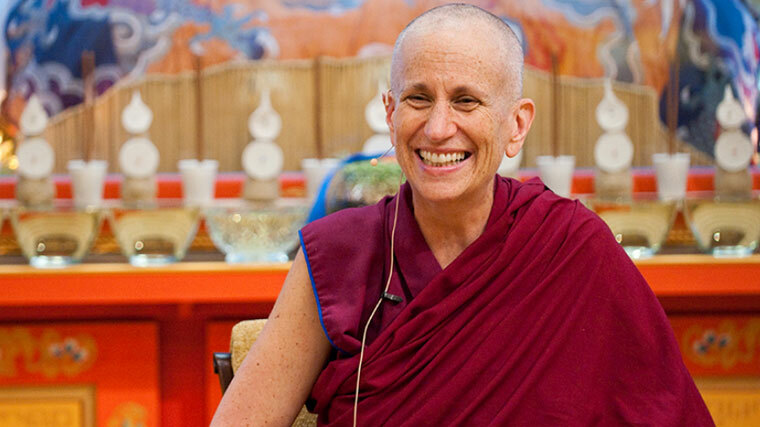 In this course you’ll be expertly guided by Venerable Thubten Chodron through Buddhism’s core practices and tenets, such as the Four Noble Truths and the practice of meditation, and will learn how the traditions sometimes agree and sometimes differ in their interpretations. Ven. Chodron’s approach illuminates the many ways that all forms of Buddhism, amid their rich diversity, share a common heritage and common goals. 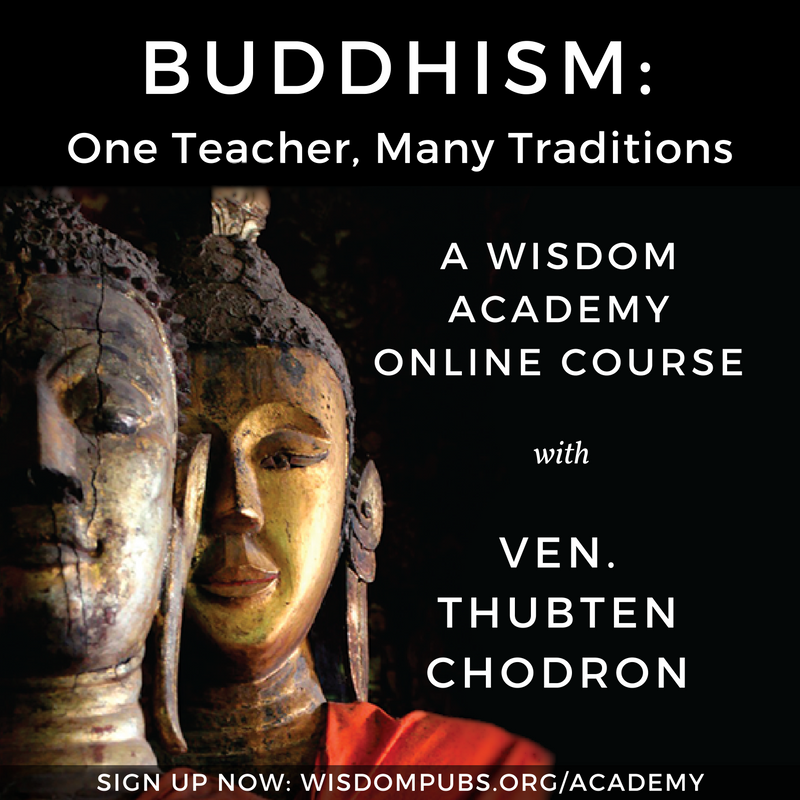 This 10-lesson course is based on Buddhism: One Teacher, Many Traditions,a book that Ven. Chodron co-wrote with His Holiness the Dalai Lama. This book is an expression of His Holiness’s strong belief in the merit of different Buddhist traditions being more educated about one another. In this first lesson, Ven. Thubten Chodron guides us in understanding the roots of Buddhism: the life story of the Buddha, the spread of the teachings throughout Asia, and how the Pali and Chinese traditions formed. In this lesson, Ven. Chodron finishes describing Buddhism in China before discussing how Buddhism developed in Tibet and what the unique qualities of the Buddha are. Ven. Chodron continues her discussion of the qualities of the Buddha and then takes us through how the Three Jewels are understood in both the Pāli and Sanskrit traditions. In this lesson, Ven. Chodron guides us through how the Pāli and Sanskrit traditions understand the Buddha’s awakening and what it means to take refuge, and begins to discuss the four truths. Ven. Thubten Chodron explores the four noble truths as they are understood by the Sanskrit tradition, taking us through the the sixteen attributes of the four truths and how liberation can be attained. In this lesson, Ven. Chodron teaches us about how the Pāli tradition understands the sixteen attributes of the four truths and explains the noble eightfold path. We also turn toward the importance of ethical conduct on the Buddhist path. Ven. Chodron guides us through what ethical conduct means in Buddhist traditions both for laypeople and monastics, and teaches us about the different vinaya schools of monastic ordination and what monastic life is like. In this lesson, Ven. Chodron takes us through some practical advice for monks and nuns and then turns our attention to training in the meditative practice of concentration. Ven. Chodron guides us through the training in concentration in the Pāli tradition, touching on topics such as the jhānas, the four immaterial absorptions, and the superknowledges. In the final lesson for this course Ven. Chodron discusses meditation as it is taught in the Sanskrit tradition, covering topics such as meditation posture and objects, the five faults that interfere with meditation and their antidotes, the nine stages of sustained attention, and more.